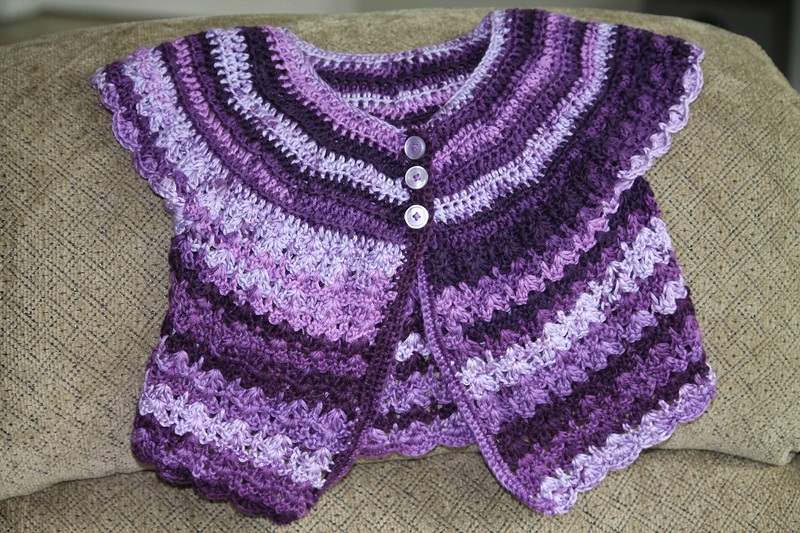 It's a purple party cardi for my sweet baby girl. I had made a mistake in the previous one -- there was an error in the pattern, in my defense. But really I just didn't read closely enough or I would have realized the mistake. On this one I didn't do the button hole placement perfectly and I had to spend 2+ hours unraveling the second skein of yarn (so annoying). But I'm happy with how it turned out. I'm thinking about making a matching hat because I bought three skeins of this yarn and don't want to buy anymore to use up the third one. 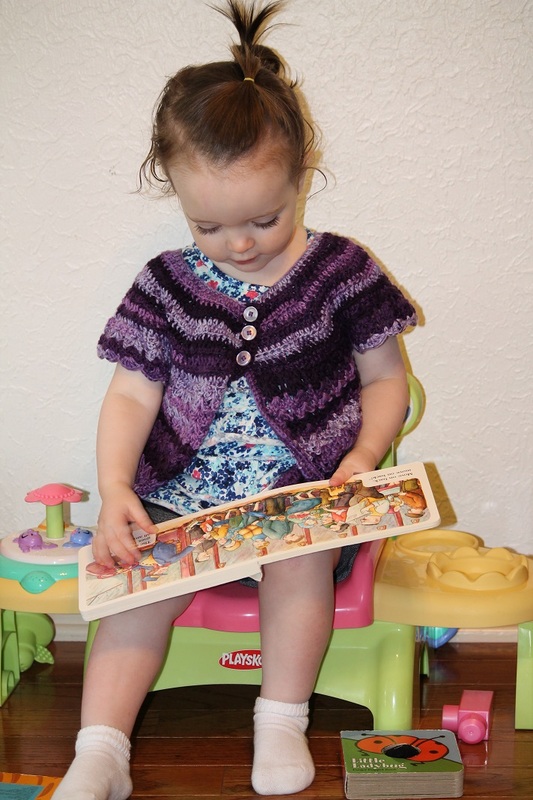 Cardi in action -- perfect for reading books and sitting on your gardening bench in the living room.